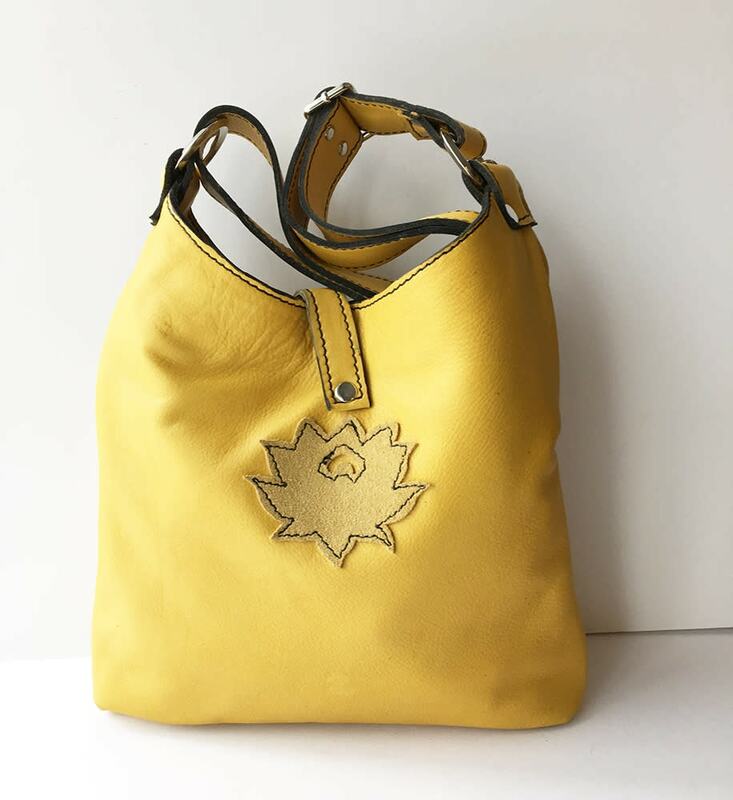 The medium Tuscan tote is a smaller version of my original design. 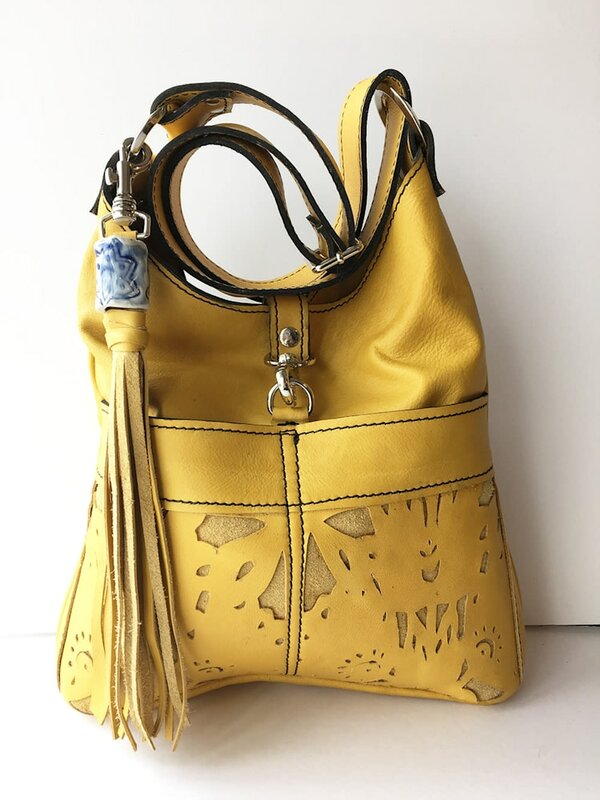 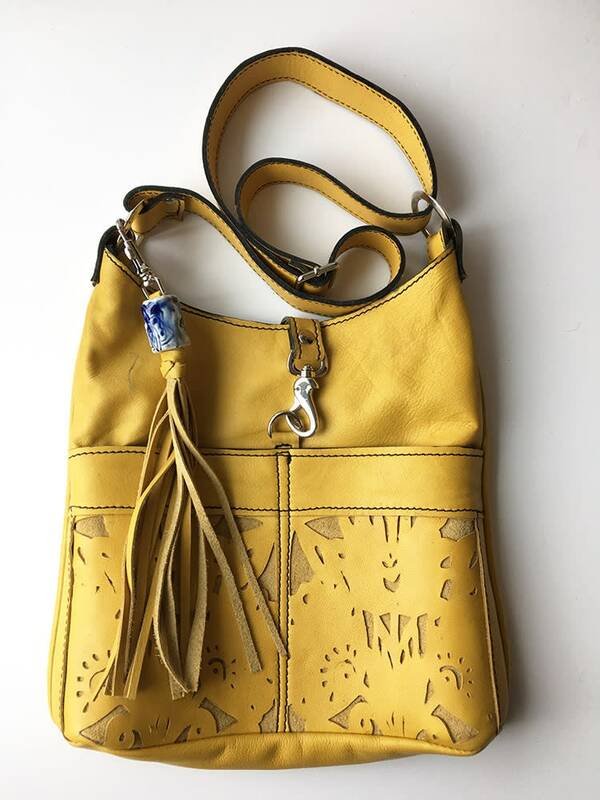 It is made of buttery soft yellow leather and has a floral cut design on the front of the bag body. 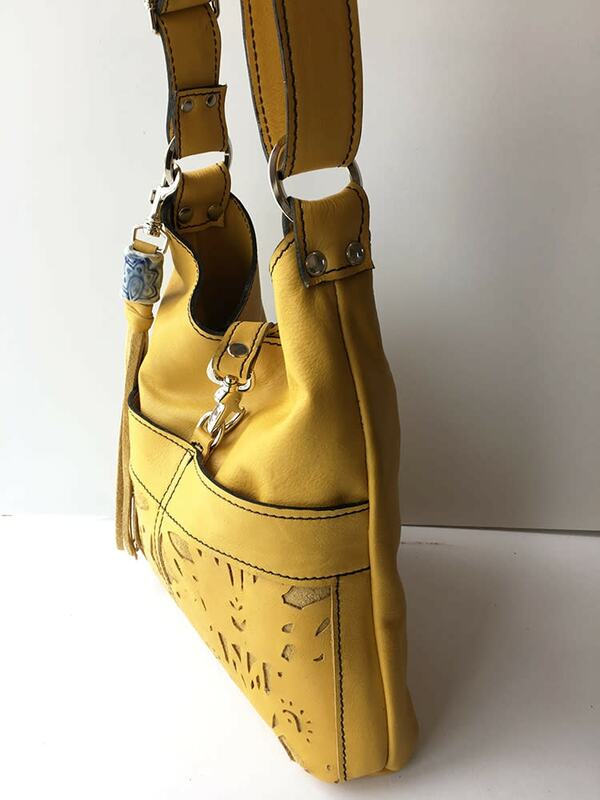 Please note that tis bag is made to order and will take 10-12 business days to construct and ship. 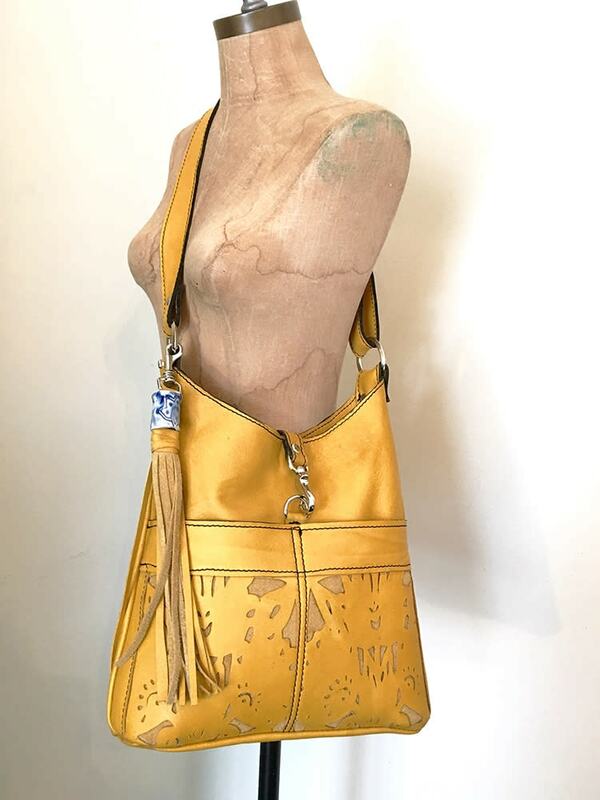 Please feel free to contact me if you need a rush order.